The HP ProLiant DL360 Gen9 (G9) delivers high-performance reliability and energy efficiency in a dense, 1U form factor. With flexible and fast storage options, an incredibly scalable memory footprint and cpu performance and efficiency gains over the previous generation, the DL360 Gen9 is a perfect investment to prepare your infrastructure for the future and increasing application demands. Perfect for virtualization, database or high-performance computing, the DL360 G9 is equipped to meet the most demanding computing workloads. With 12Gb maximum storage throughput and scalable storage options, the DL360 Gen9 can accelerate data access for virtual and database server environments. Aventis Systems offers the DL360 Gen9 with support for up to four 3.5" or eight 2.5" 12 Gb/s SAS, SATA, or solid state drives. Invest today in your ever-increasing IT demands with the DL360 Gen9! 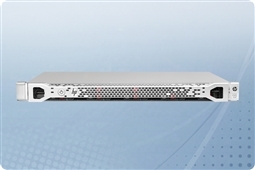 Aventis Systems carries New HP ProLiant DL360 G9 servers. All servers from Aventis System include a 3 year Comprehensive Warranty, with eligibility for optional Express warranties and onsite services. Are you looking for a 9th Generation HP server with similar processing power and memory footprint with even more expansion and scalability options? Please browse our HP ProLiant DL380 G9 2U servers. Can’t find what your need or have a question? We’re here to help! Please call us at 1.855.AVENTIS (283.6847) or use ourLive Chat Live Chat during regular business hours. You can also email us at Sales@AventisSystems.com.